Since ThePiano.SG was founded, we have been engaging in our vision to be the leader in connecting people in the piano community together in Singapore. Over the past two years, we have been holding regular events for passionate piano lovers - affectionately known as Pianovers, and growing the local piano community. We are, of course, extremely delighted when ThePiano.SG was featured in the July/August issue of Challenge magazine. Challenge magazine is the official publication of the Public Service Division, Prime Minister’s Office. It has a circulation of more than 120,000, reaching out to not just the public officers in Singapore but also potentially their families. This is an important milestone to us. The article in the July/August issue of the Challenge magazine, entitled The Streets Are Alive (With The Sound Of Music), describes the Pianovers Meetup, a weekly event that is held by ThePiano.SG. Happening every Sunday, Pianovers Meetup is all about “Connecting people in the piano community”. It is a weekly social gathering for all piano lovers held at The URA Centre. The DNA of Pianovers Meetup comprises these genetic footprints. Whether novice or experienced, you are welcomed to share your favourite pieces, and play for us. There are certainly many pieces which we are unaware of, and through your sharing, our repertoire would grow. Sometimes, we even have Pianovers playing their self-composed pieces! Learning is a lifelong process, and here in Pianovers Meetup, we find joy in learning from one another. If you are learning to play the piano, Pianovers Meetup will be a useful platform to build your confidence. Instead of playing in the usual classroom-setting at your teacher's instructions, Pianovers Meetup gives you an outside-classroom exposure to play before an informal crowd, comprising fellow Pianovers. We also create an environment in which pianists can interact, share and communicate. Unlike learning from teachers or books, interacting with passionate Pianovers helps you develop a more holistic way of learning, and find support in your learning journey. You will also be able to hear different perspectives, appreciate compositions better, and play better eventually. ThePiano.SG maintains a database of performers and the pieces they perform. In each Pianovers Meetup, we record the video performances of those who registered to play. After the event, we publish them on our official YouTube channel. So, when Isao Nishida performs at a Meetup, his list of performances in his Pianover Profile will be updated accordingly few days later. Over time, he can build a performing profile, and share his achievements with fellow Pianovers. Listen to live piano music. It is not just pianists who benefit at Pianovers Meetup. Even non-pianists are able to join in. People who do not play the piano but enjoy piano music can sit in during the weekly Meetup and enjoy live music. ThePiano.SG is an inclusive community and anybody who has an interest in piano is welcome to join. Pianovers Meetup is a great platform to meet like-minded pianists and piano music lovers. As the people here are passionate about this musical instrument and the music it plays, people find it very easy to bond. Even though Pianovers Meetup started with humble beginnings, it has grown not just in size but also closeness over time. Today, Pianovers Meetup has a sizeable community that looks more like a family. 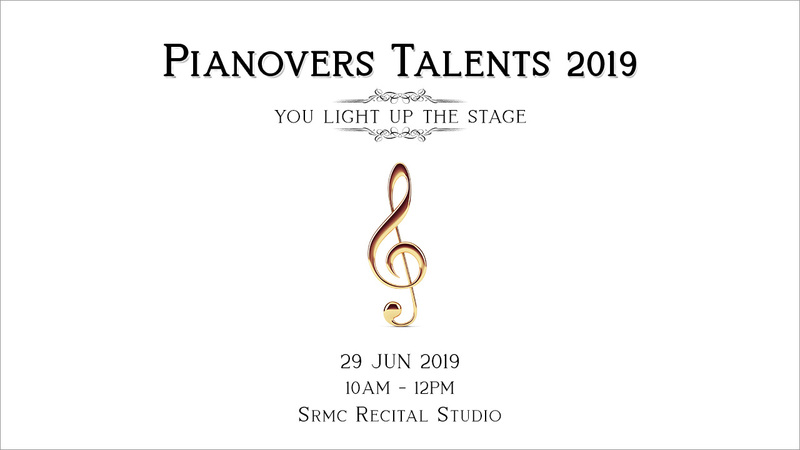 Pianovers Meetup is not just about connecting people in the piano community, it also strengthens the Singapore spirit, and promotes racial harmony as people of all races, languages, religions, ages, and gender come together and indulge in this communal space to make music. In doing this, Pianovers Meetup also spreads the joy of playing the piano. Apart from Pianovers Meetup, ThePiano.SG has also conducted several "Pianoversions". On 4 Dec 2016, we conducted our inaugural Pianovers Sailaway, which saw four digital pianos placed on board a yacht as it sailed out to the open sea in the evening. It was a very memorable event for the 40 people who attended! We conducted our very first piano event within a restaurant on 17 Jun 2017. Featuring a white, Essex-designed grand piano, Pianovers Hours saw a group of pasisonate Pianovers coming together and enjoying music over a good dinner. On top of the usual Mini-Recital, everyone is treated to a Speaker Sharing, and a Recital Showcase! The good acoustics provided by the enclosed and airconditioned environment certainly allowed all to enjoy good music that evening! At the invitation of Zhonghua Primary School, ThePiano.SG visited the school during its Art Festival. ThePiano.SG’s Founder, Sng Yong Meng, addressed the staff and students during their morning Assembly. We also invited Asher Seow, from Fairfield Methodist Primary School, to play a piece and entertain everyone. There was also a booth set up in a corner of the school. Many students crowded around the booth and had fun playing the piano! Our first Pianovers Recital, to be held on 20 August 2017, will be ThePiano.SG’s very first formal event. To be held in an auditorium operated by The RICE Company Limited, the centrepiece of this event will be a Schimmel grand piano. For the first time, performers will have the opportunity to perform in a true recital environment. We are all excited about our very first recital event! Being featured in the Challenge magazine is a proud moment for us, and we endeavour to strive even harder to grow Singapore’s piano community!